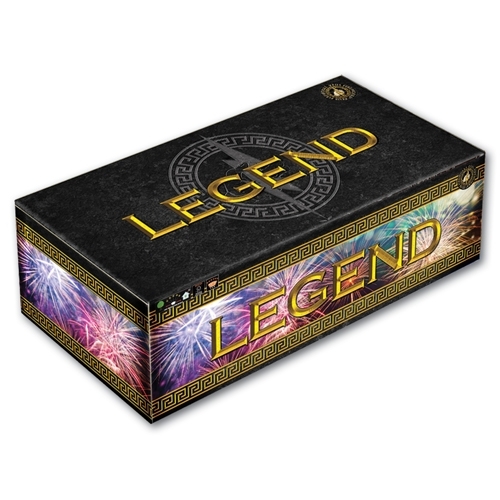 This immense compound firework of three 45 shots barrage that fires simultaneously together creating a show stopping display of red dahlia with silver glitter, brocade crown with glitter and blue with gold glitter all in 30 seconds, while make your firework display ���LEGENDARY�۪! Legend already looks incredible in the video, but in person it is truly phenomenal - with immense power and colour - but there is finesse too, with precision placement to fill the sky uniformly. Witnessed at the Sonic Demo 2017, Legend is a firework which is guaranteed to impress and take the breath away of anyone watching due to its professional demeanour. I've watched the national firework championship in Plymouth for years and this single firework impressed me more! Excellent value for money.